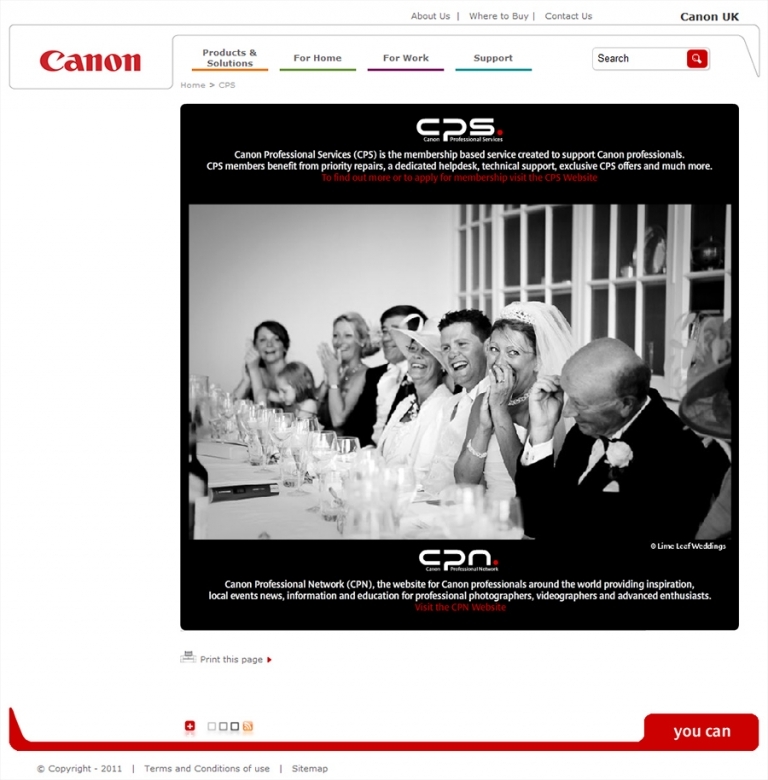 Canon are using one of our photos on the Canon website to promote their Professional Services. CPS is a place where professional photographers who use Canon cameras can join to recieve special benefits and be kept up to date with the latest in the Canon world. We are also in the CPS brochure sent out to every professional Canon user who is signed up with the service, for the second year running. It’s always an honour to be asked for our photography to be used in this way as 99% of all our equipment is Canon.